Lilly Fenwick’s best friend was her English Setter Peggy until, tragically, Peggy died in an accident. Two years have passed, and the grieving Lilly has found new friends. Lilly is convinced that she and her family, including Beatrice, her new dog, must go on pilgrimage together, but how is the family to manage the trip with a dog? Although this is a story of love, sacrifice, detachment and service suitable for younger readers, it would be inspirational to all those who are planning a pilgrimage. Lilly had looked forward to this Sunday afternoon ever since the Petersons returned from their pilgrimage. Mr. Peterson had made a pilgrimage video in which Mrs. Peterson played background piano music. As the piano notes faded away, they were replaced by a respectful silence and a lingering image of the Shrine of the Báb. Lilly’s mom, Sharon Fenwick, invited everyone to their roomy front porch for her famous hermit cookies and tea. The screens were still in place despite the arrival weeks ago of the first insect-killing frost of fall. The white wicker chairs had been moved from the backyard to their winter home on the front porch. Last Saturday Lilly had helped her father put a new coat of white paint on the wicker chairs in preparation for this special day. That instant, Lilly knew that her entire family had to go on pilgrimage. The past few days she had been talking to her friend, Allison about her pilgrimage experience. Allison had told her that there were moments when she felt close to God, but that she had found it to be overwhelming. She said that although the sheer beauty of the shrines and the gardens had lifted her soul to new heights, she had little understanding of the significance of the pilgrimage sites. And so the exhilaration had faded when she returned home. Lilly knew that she had to understand what she was experiencing if she went on pilgrimage or she would be utterly frustrated. It was the way she had always been in school, and deep inside she knew she would always be that way. Fortunately it was a problem with a solution. And the solution was her best friend, Rustam Payman. I wonder if dogs are allowed to go on pilgrimage, she thought to herself. The Universal House of Justice must allow English Setters — they’re so well behaved, not like those noisy, annoying Chihuahuas. Dogs like that should never be allowed on pilgrimage. Dad will know if Beatrice could go because he’s always reading one book after another. That is, if he isn’t in one of his crazy moods and will give me a serious answer. Years ago her dad had convinced her that Mom didn’t make her hermit cookies, but bought them from a real hermit who lived in a cave by the river. For a long time she had had dreams of visiting the hermit who, her father explained, lived on tea, cookies, and prayer. In her dreams she and the hermit would sit by the entrance to his cave sipping tea and nibbling cookies while waiting for the sun to float back to earth. Before leaving, she would always ask him if there was anything he needed. The hermit would always answer, “I have everything I need. I have always had everything I need. There are some things that I want, but I have everything I need.” Lilly could think of dozens of things he could use, like wallpaper and curtains . . . maybe a soft bed. But hermits say mysterious things and live mysterious lives. The dreams had become less frequent as time went by, but what remained the same was that she always woke up the next morning feeling strangely peaceful. Gradually Lilly returned to the present and became aware that her best friend in the entire world was still sitting next to her on a small ottoman, holding a plate of cookies and a glass of milk. “Don’t you remember me telling you about my dog Peggy and how we would put messages in a bottle, and she would swim to the middle of the river and let them go so that they could travel around the world? Florence Young is the lady who found one of our bottles with a Hidden Word of Bahá’u’lláh on a beach in England. She became a Bahá’í. Artist Statement: I guess you would call me a late bloomer. I was in my early forties when a writer friend and her husband returned from pioneering to South America. Stories always visited my mind, but I always showed them the door. I never wrote them down. My writer friend encouraged me to put pen to paper — no computers back then to help with penmanship or spelling. She encouraged my first efforts. Twenty-five years later all of those original stories have been published. 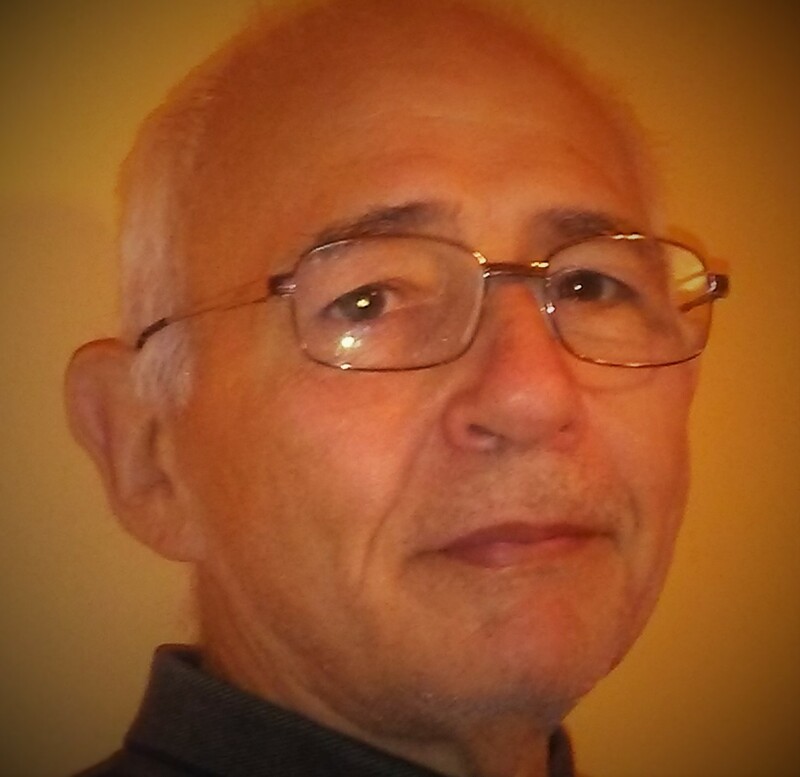 Bio: Ronnie Tomanio lives in Eliot Maine. A husband, father of two grown daughters, and proud grandfather, Ronnie is a former furniture maker and refinisher. He has also worked for a number of years with survivors of traumatic brain injuries. He hosts a radio and TV show called “Don’t Dis My Ability”. 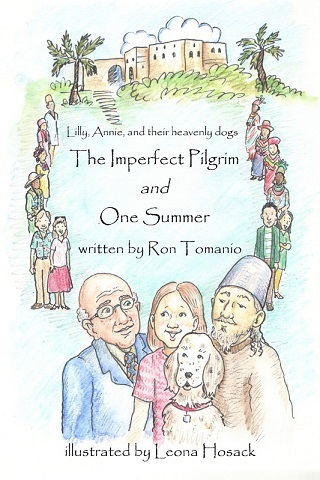 He has published five books: Lilly & Peggy with George Ronald, The Unexpected Day & The Trust with Special Ideas, Edith Rose and Friends and The Imperfect Pilgrim and One Summer with One Voice Press. He has also published a nonfiction book with George Ronald: With Thine Own Eyes: Why Imitate the Past When We Can Investigate Reality?